On that day Jesus went out of the house and sat by the lake. And great multitudes came to Him . . . He entered into a boat, and sat; and all the crowd stood on the beach (Matthew 13:1-2). 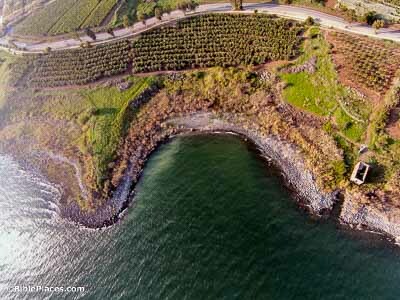 The Cove of the Sower, found halfway between Capernaum and Tabgha, is a likely candidate for Jesus’s location because of its remarkable acoustics. Due to being shaped like a natural amphitheater, even people standing at the top of the ridge would have been able to hear him clearly. And others fell on good soil, and yielded fruit, some a hundredfold (Matthew 13:8a). Though a hundredfold crop may seem like an exaggeration, such remarkable returns weren’t unknown to the region. The nearby Plain of Gennesaret, pictured here, was praised by Josephus for its exceptional fertility. 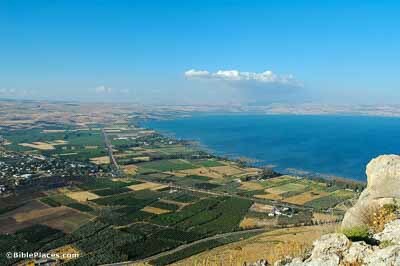 And the not-too-distant district of Gadara was reported as actually returning hundredfold yields. But while his men were sleeping, his enemy came and sowed tares also among the wheat (Matthew 13:25). Just as righteous and unrighteous men grow up side by side, so do tares and wheat, like in this field. At a certain stage in development, the two look almost identical. 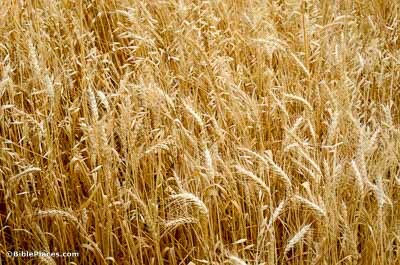 But in reality, they couldn’t be more different; while wheat is good for food, tares are inedible weeds and were a serious nuisance in a time before modern farming techniques. But when it is grown, it is greater than the garden plants and becomes a tree, so that the birds of the sky come and lodge in its branches (Matthew 13:32b). In trying to explain the astonishing growth pattern of the kingdom, Jesus found a perfect example in the mustard plant. 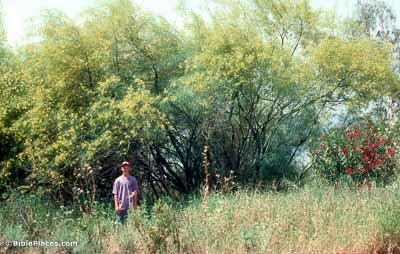 Though it starts its life as small as a poppy seed, it can eventually grow so large that it towers above most other greenery, as this example shows. Therefore, as the weeds are gathered up and burned with fire . . . (Matthew 13:40a) Gathering brush for kindling was a common and important task because many contemporary industries were dependent on fire. 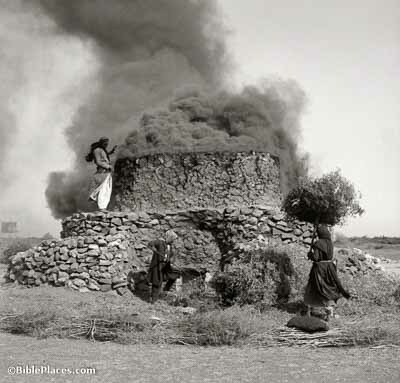 The production of lime, for instance, involved burning material in large kilns such as this one. The kingdom of heaven is like a treasure hidden in a field, which a man found and covered up. In his joy he goes and sells all that he has, and buys that field (Matthew 13:44). 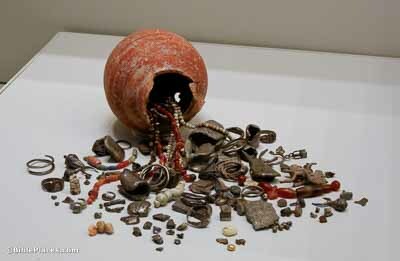 Burying treasure was not an uncommon practice in the ancient world. 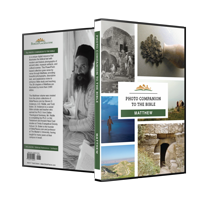 This is just one of many preserved examples—in fact, buried stashes were so common that one of the most famous Dead Sea Scrolls (the Copper Scroll) records no less than sixty-three of them.